If you want to spend less time and money maintaining your salt water pool and more time enjoying it with family and friends, this guide is for you. 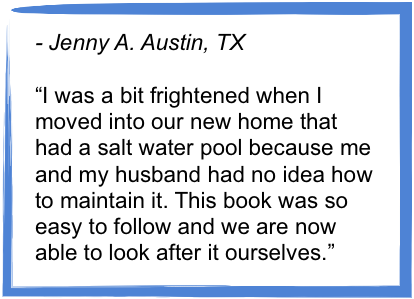 You'll get over 135 pages full of information to help you keep your salt water pool in the best shape it's ever been before including more than 30 pages to help you maintain your pool with confidence. Learn how to troubleshoot common problems like cloudy water or a green pool caused by algae. I'll teach you how to keep your pool sparkling clean all season long even during those hot summer months. Most problems that pool owners experience are completely preventable and with a bit of knowledge you can make sure they don't happen to you. 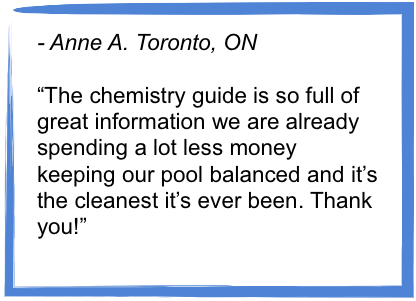 Every year pool owners spend hundreds of dollars needlessly on pool chemistry. I'll teach you the basics with a step-by-step pool chemistry guide so you aren't caught up playing the over-balancing game that can be avoided very easily. Did you know that salt water pools tend to experience a slow but steady rise in pH? Algaecides and shocks can be virtually eliminated with weekly superchlorination? I'll show you how to save hundreds of dollars every season just by knowing which chemicals to use and which ones to avoid. Do you want to join the millions of salt water pool owners around the world who are already enjoying all the amazing benefits of salt water? Are you sceptical due to the misinformation floating around the internet? 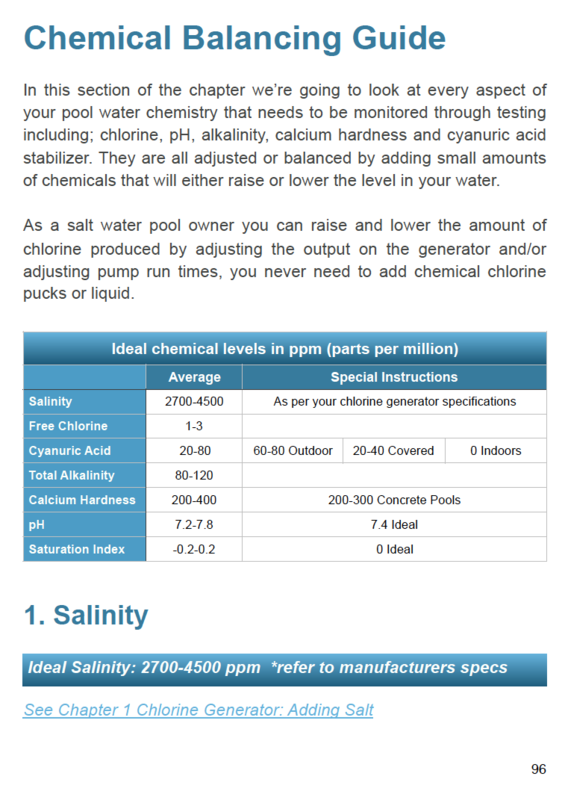 I'll show you in 5 steps how to convert your regular chlorine pool to salt water with a few basic tools. 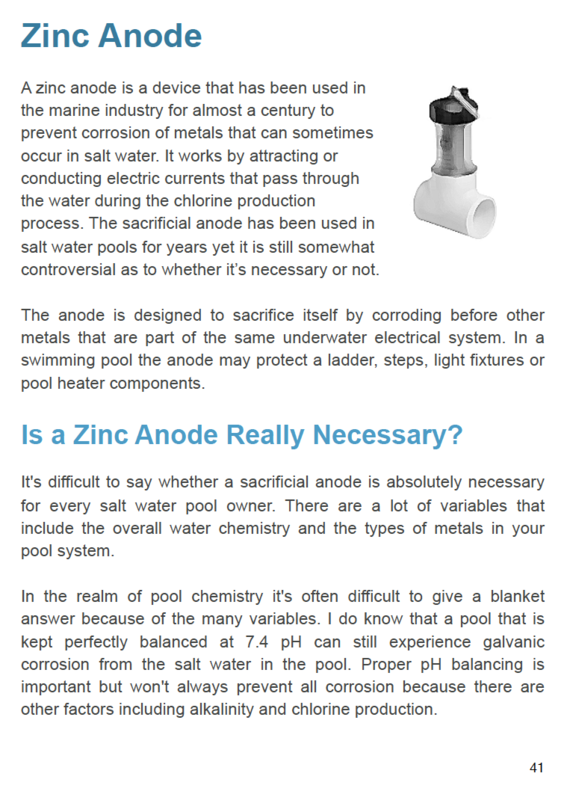 I'll also clear up some of the myths and go over the facts about salt water technology. If you purchase the guide today you can be swimming in luxury in as little as 24 hours! Over 130 pages full of information and tips, and here's a sample of just a few. If you are like most salt water pool owners you feel like you don't have enough time to look after your pool. You might be overwhelmed with all the information you've heard from "professionals" or read about online. I'm here to tell you that it's really easy to do. 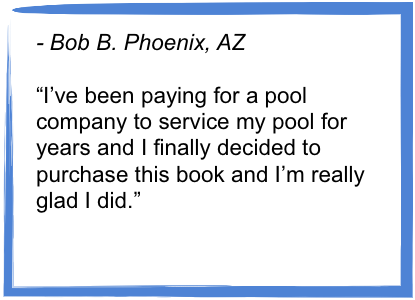 If you're caught in the constant money trap of paying a company a lot of money to spend very little time servicing your pool, you're not alone. You can make the decision to purchase this guide and I promise you're going to find it's a LOT easier than you think. Is Your Pool as Clean as it Could be? I'll teach you how to keep your pool clean all season long with less effort and a lot less money than you've been spending. It's Saturday morning and the kids want to go for a swim and when you remove the cover it looks like the water hasn't been cleaned in weeks. It can be very frustrated if you only have time to use your pool sparingly or you're spending more time cleaning it than enjoying it. 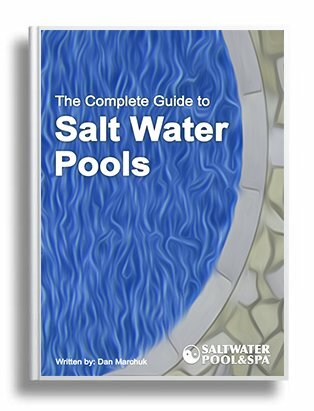 This guide has absolutely everything you'll ever need to know to look after your salt water pool. You'll learn how to reduce operating costs and how to keep your pool balanced for a fraction of what you are currently spending. 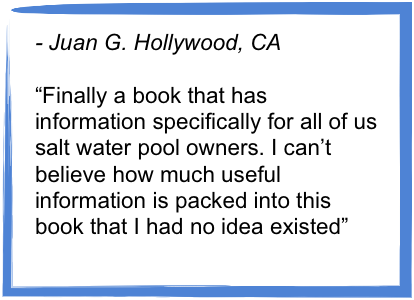 The easy-to-read guide is designed to take the confusion out of pool ownership as well as clear up all the misleading information you have learned in the past. How to open and close your pool without hiring a professional. 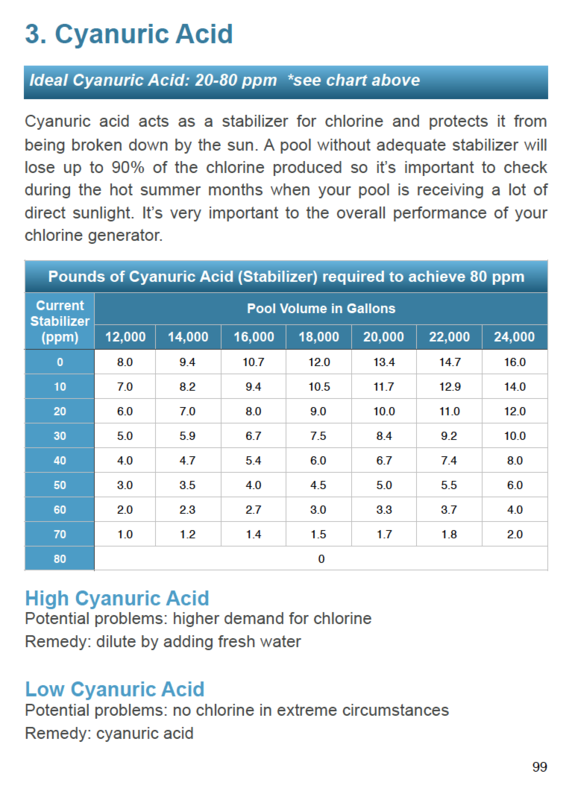 What causes chlorine levels to drop and how to fix it fast. How to convert a regular pool to a Salt Water Pool. How often you really need to run your pool pump. Tips for keeping your pool sparkling clean. Clearing up green or cloudy water with little or no chemicals. How to save a lot of money on electricity and chemical usage. What really causes erosion and easy ways to prevent it. Exactly which chemicals you need and how much to add. Start saving money today and start enjoying your pool like you never have before.